To go along with the “Mint Foam” colorway, Jordan Brand will also be releasing the Air Jordan 2 Deconstructed Bordeaux version. Perfect for the Summer, this new version of the Air Jordan 2 offers a more casual and lifestyle look. Dressed in a full Bordeaux color scheme. 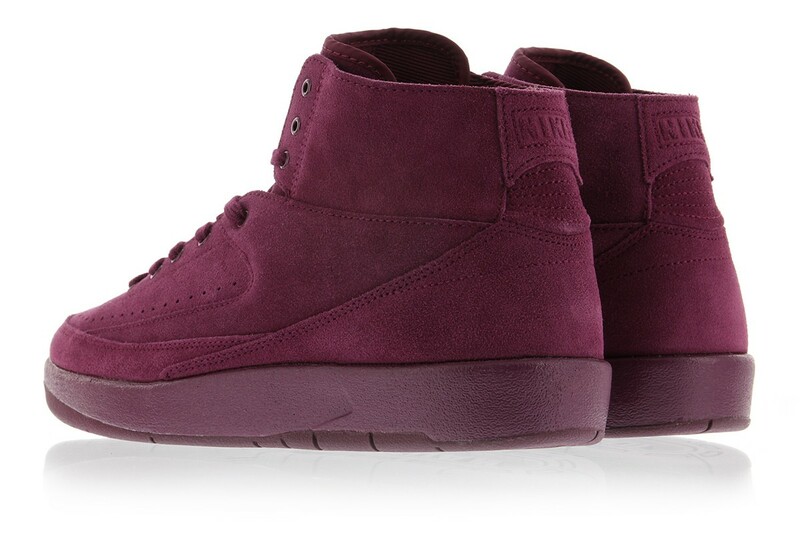 This Air Jordan 2 Deconstructed gets dipped in wine that’s constructed with a suede upper. Other details include perforated ventilated holes, tonal branding on the tongues and heel atop a matching Deep Purple rubber sole. Look for the Air Jordan 2 Deconstructed “Bordeaux” to release on May 24th at select Jordan Brand retailers. The retail price tag is set at $160 USD.